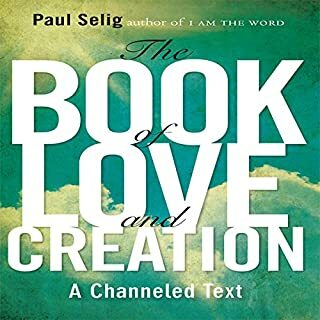 Where does The Book of Love and Creation rank among all the audiobooks you’ve listened to so far? Paul Selig brings calm, clarity, and composure to his reading of his guides' transmission. It will be particularly helpful for students of The Word. The connection with the work as an energy/frequency transmission though listening to the book. Have you listened to any of Paul Selig’s other performances before? How does this one compare? I have listened to Paul in some online videos, but I liked this book because Paul does not repeat himself. "I am now calling to me the frequency of love. I am Word through this intention. Word I am Word." I would like a recording of his first book, I Am The Word, when it becomes available.